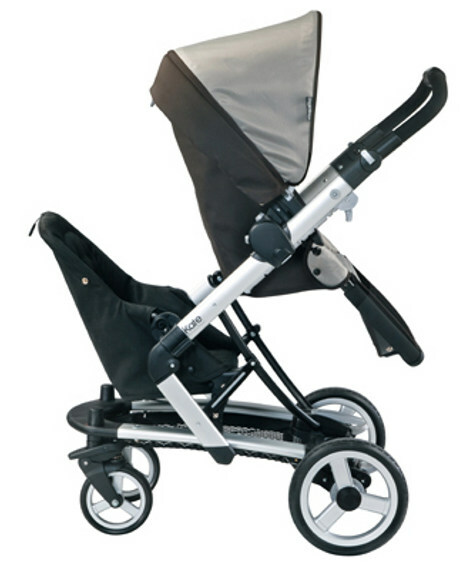 Peg Perego Skate now a double pram with new Jumper Seat! A very groovy pram is adding another storey to its tower of features! The Peg Perego Skate already boasts car capsule compatibility, reversible handle and bassinet options and now you can add the brand new Jumper Seat so another child can be transported! The Jumper Seat is expected to arrive in Australia this month and there’s more great news for owners of the previous models; yes, the new seat will fit your pram! 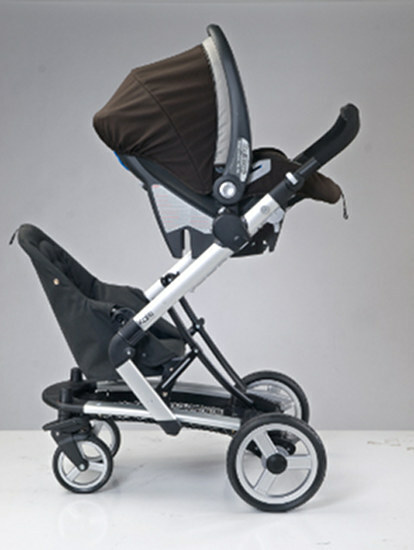 The seat can be used together with both the bassinet and the main seat unit as well as the Primo Viaggio car capsule. The frame will handle up to 33kg so it’s safe to say it will accomodate most kids into late toddlerhood and even beyond if you have lightweight children. The Jumper Seat features a three-point lap belt and accommodates children up to 18kg. Stand by for more information as it comes to hand and count on being able to expand your brood with the Peg Perego Skate! We first had a look at the Skate in December 2007 when it was launched – you can compare this pram with others on the market using our handy Pram Chooser.